Sarit Packer has been cooking and baking since she was five, trained at Butlers Wharf and at the Orrery under Chris Galvin, where she learned, amongst other things, to make Pate de fruit, which was her sole ambition in life. In her spare time she sleeps. Married quite happily to Itamar Srulovich but keeps her maiden name for obvious reasons. Itamar Srulovich Born and raised in Jerusalem. Cooking since the age of five and leaving a great mess in the kitchen ever since, trained on the job in various places in Tel-Aviv. He prefers eating to cooking and sleeping to both, he is very happily married. Since opening in 2012, tiny Fitzrovia restaurant Honey & Co has quickly become one of London’s most talked about, most favoured dining destinations, wowing customers and critics alike. 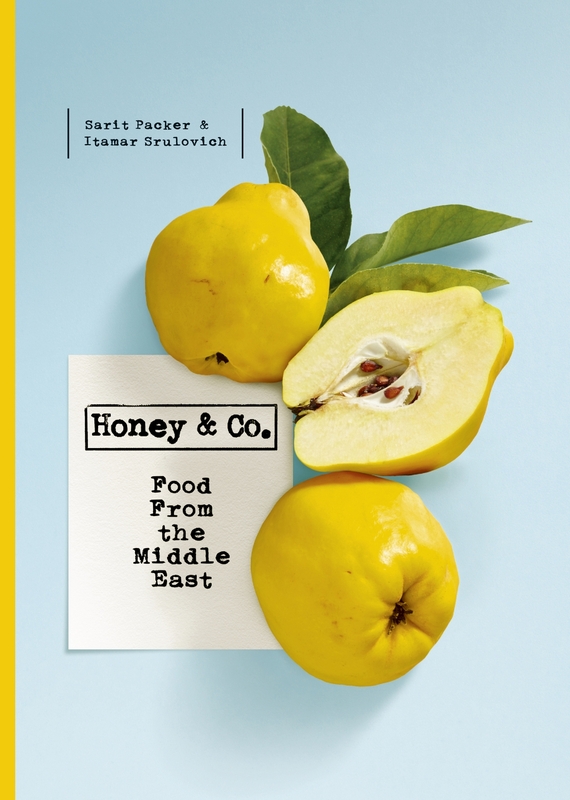 Husband and wife team Itamar Srulovich and Sarit Packer (the ‘Honey’ in Honey & Co) have a wealth of experience between them and cook homely, fragrant, delicious Middle Eastern food packed with vibrant flavour and sparkling with jewel-like colours. Courses on during week of 8th June.